You have immense experience in children’s publishing and you’ve decided to launch your own independent publishing house. What influenced this decision and what are your hopes for this new venture? I already had my own eponymous imprint at Frances Lincoln, so setting up Otter-Barry Books seemed like the next natural step. I wanted to take charge of my publishing destiny and make my own decisions about what to publish, and thereby create a list that has a very distinctive look and feel, and reflects my long-held beliefs in the importance of diversity and inclusion – and in quality. We try to publish the very best books we can, from the idea right through to the production values. Our hope is to become a respected and valued children’s publisher, one that has earned the trust of its authors, illustrators, customers and readers. We want to grow, but in an organic way. We would not want to lose the personal feel of the company, in which every author and illustrator matters and where all who work for Otter-Barry Books feel part of something special and believe in our values. And do you think this is an auspicious time for an independent publisher? Well, it’s a challenge financially, to set up your own company, and it takes time to gain credibility in the market and to develop a selling backlist. So it’s not easy, whenever you do it. But I do think it’s a good time to be independent. There are niches and gaps that we can fill, where the big publishers may not venture – in poetry for instance. We can move quickly and make fast acquisition decisions if we need to, and I think that the trade is very open to adventurous small publishers at the moment. And there are now excellent companies such as Bounce Sales and Marketing , who cover UK sales for our books, through whom we have access to a top sales force that can help us to reach the market and enable us to ‘punch above our weight’ in sales and marketing terms. What can a small independent publishing house bring to a children’s publishing world dominated by large multi-nationals? I think it is easier for a small independent publisher to create a distinctive image or brand, not being part of a larger group where there may be overlaps. We can bring the personal touch – in terms of author and illustrator care and nurture. We are a small team and all are in regular contact with our authors in one way or another. We can make quicker decisions, and we can change direction if we need to. We have to be nimble and on the lookout for opportunities, and independent publishers are good at that. Your mission statement for Otter-Barry books promises to make a difference and push boundaries. What difference do you hope to make? We want cultural diversity and inclusion to be at the heart of our publishing. Things have changed for the better in our industry but there is still work to do and ground to be broken, to bring diversity and inclusion into the mainstream. 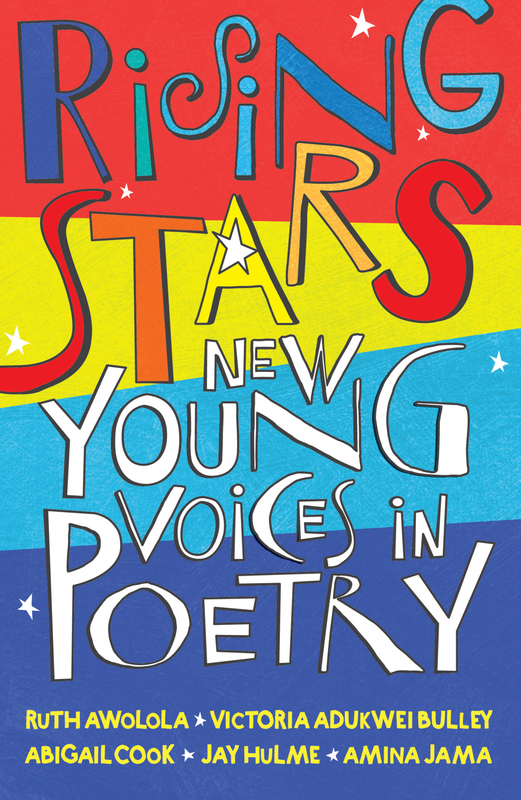 We are proud that we are already making a difference through the poetry of Joseph Coelho - Overheard in a Tower Block is his latest - and through our Rising Stars anthology, in which we publish five new young poets, BAME and LGBT, and give them a chance to shine. Both these titles are on the 2018 shortlist for the CLiPPA (Centre for Literacy in Primary Education Poetry Award). Joseph’s previous collection, Werewolf Rules, published by Frances Lincoln, won the Award in 2015, of course. I should say that it was our partnerships with Pop-Up Projects and Arts Council England that enabled us to publish Rising Stars and gave us the contacts and confidence to do so. So it is very much through special partnerships like this that we can make a difference. We are also publishing the first ever print edition of a National Poetry Day anthology, working with the National Poetry Day team and 21 poets to publish Poetry For a Change in September, ahead of National Poetry Day on 4 October. Each poet has written a poem especially for the anthology and also chosen a favourite classic poem to set alongside it. And they have all shared their thoughts about the poems with the reader. So this is a truly diverse and unique anthology on the theme of change. You have had an especial interest in picture books throughout your career and they make up a lot of your new list. What is it that appeals to you about the form and its particular audience? Yes, I love picture books. I love getting a big idea across in a distilled and simple way. I enjoy matching authors and illustrators and finding exactly the right partnership for a picture book. And now there is a real emphasis on the physical qualities of picture books. There are great opportunities to be creative with new formats or special finishes. 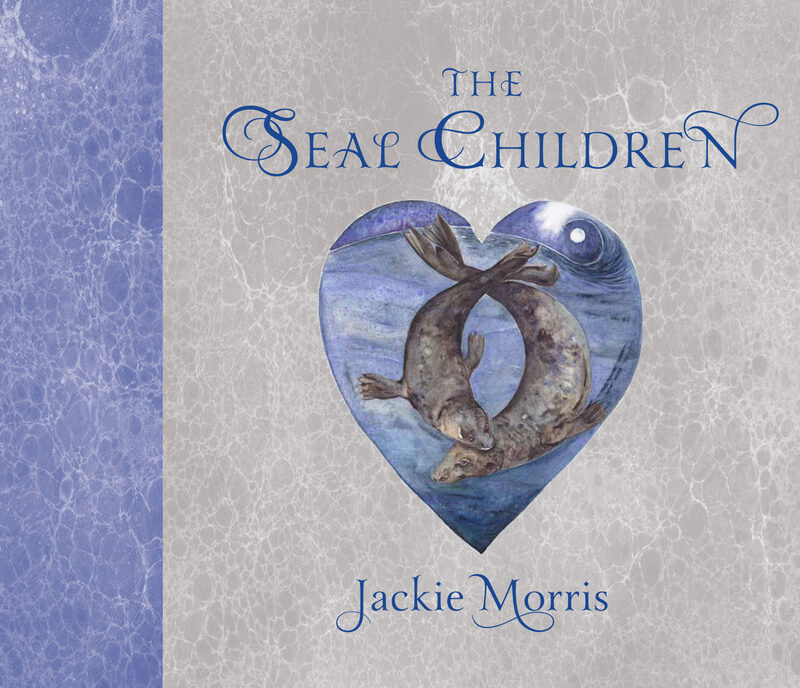 We created a beautiful cover for Jackie Morris’s The Seal Children, with quarter-binding and foil lettering, which reignited it from being a core backlist picture paperback into a fabulous gift book. We are about to do the same with the lovely Can You See a Little Bear? by James Mayhew and Jackie Morris, giving the cover a special cloth finish with gold lettering and giving it a sparkling new life in hardback. 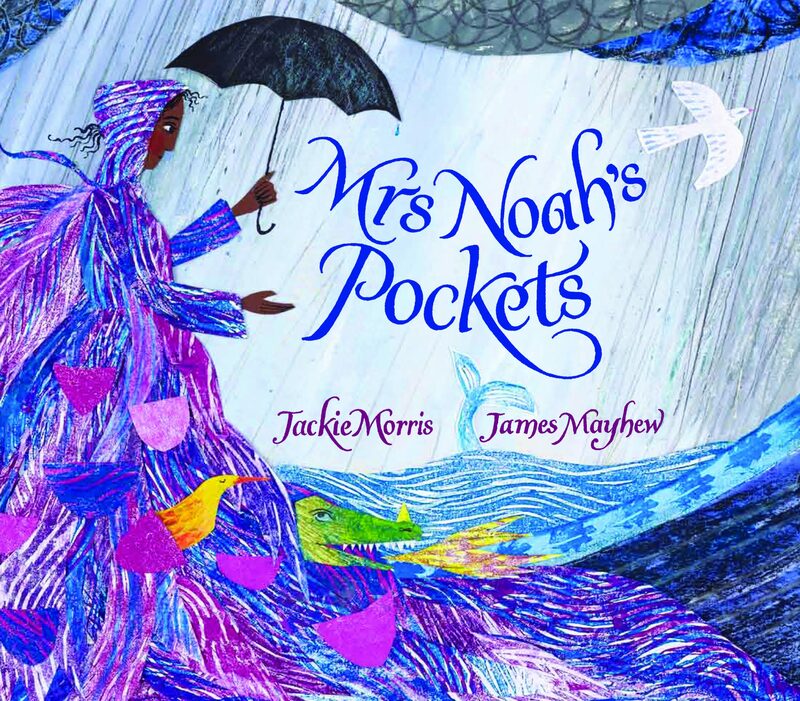 And for Mrs Noah’s Pockets, by Jackie Morris and James Mayhew, we used a special wood-free paper, which really brought out the textures, colours and beauty of James’s artwork. Combining this with hand drawn lettering in foil on the cover and quality reproduction and printing has resulted in a perfect picture book in every sense. 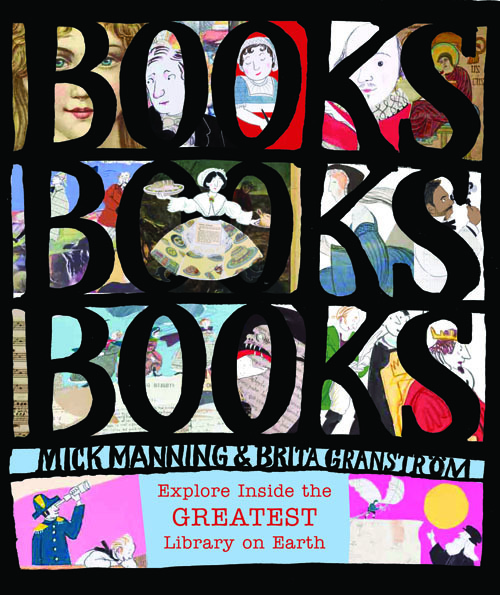 In Mick Manning and Brita Granstrom’s amazing non-fiction title about the wonders of the British Library - Books! Books! Books! - we took immense care over the design and presentation, working closely with the authors and their stunning art, set against reproductions from the British Library. The result is a gift to be treasured, while also working as a fascinating information book. You have talked about your commitment to diversity and inclusion. Why do you think such stories are important? I believe that all children should be able to see themselves represented in books, and much of my publishing has been to redress this balance. Publishers now are far more aware of the importance of diversity and inclusion, and organisations such as CILIP, Booktrust, Letterbox Library, The Centre for Literacy in Primary Education (CLPE), The Reading Agency, Empathy Lab and the wonderful Inclusive Minds, among many others, are all helping to raise awareness and extend the market so that cultural diversity and inclusion is gradually entering mainstream publishing. We at Otter-Barry Books hope we are playing a role here as a force for change. This year we were shortlisted for the Independent Publishing Group’s Diversity Award. Our upcoming list for autumn 2018 is exciting and packed with diverse and inclusive titles. Among our lead titles are Corey’s Rock, by Sita Brahmachari and Jane Ray, a beautiful and moving colour-illustrated novella for 9 plus. It is set in the Orkneys and is about bereavement, identity and new beginnings, with the Selkie legend woven through it. We are also proud to publish A Kid in My Class by Rachel Rooney and Chris Riddell. Rachel has written a poem for every kid in the class, including the tough kid, the dreamer, the kid who runs in his wheelchair – and even the class hamster! Chris provides incredible portraits of all the kids, and then takes off into fantasy with fabulous blue-wash illustrations on every page. Travels with My Granny by Juliet Rix and Christopher Corr is a warm and positive picture book approach to the topic of dementia. Granny used to be a great traveller, but she still travels in her mind, and she and her grandchild go together on wonderful journeys of the imagination. We also have a delightful picture book about sharing, manners and being kind, How Rude! by Sarah Arnold, and a beautiful night-time fantasy exploration of childhood fears, Tiger Walk, inspired by the famous Henri Rousseau painting, by Dianne Hofmeyr and Jesse Hodgson. I adore folktales from round the world and feel they have been quite a neglected area of children’s publishing in recent years. Traditional tales encompass some of the greatest and most universal stories in the world. They are a treasure trove for illustrators and a brilliant way for children to explore other cultures through story – and humour. In our autumn list we have a great rendering of the traditional Three Wishes story, Please Mr Magic Fish, complete with silver sprinkles throughout for the magic fish, and brought to life by that doyenne of folktale retellings, Jessica Souhami. From our backlist, Pattan’s Pumpkin, a flood story from Bengal by Chitra Soundar and Franc Lessac, has been chosen by CLPE for their Power of Reading programme and is about to go into paperback, having sold out its hardback edition. You’ve talked a lot about your poetry list. It’s a distinctive and important part of your publishing, bringing together new and established poets, and attracting critical attention and awards. Poetry for children is my special love. It has been more of a niche area in the past, but it’s definitely ‘having a moment’ now on both sides of the Atlantic. Children actually love poetry and my wish is to see poetry not just as a class project but to be taken home in book bags along with chapter books, and read for sheer fun and excitement. Poetry can do so much. It can explain the world, make you laugh, take you on adventures to extraordinary places, comfort and inspire – and there’s nothing like poetry in performance. Poetry is definitely best promoted by the poets themselves, in schools and libraries and at festivals. 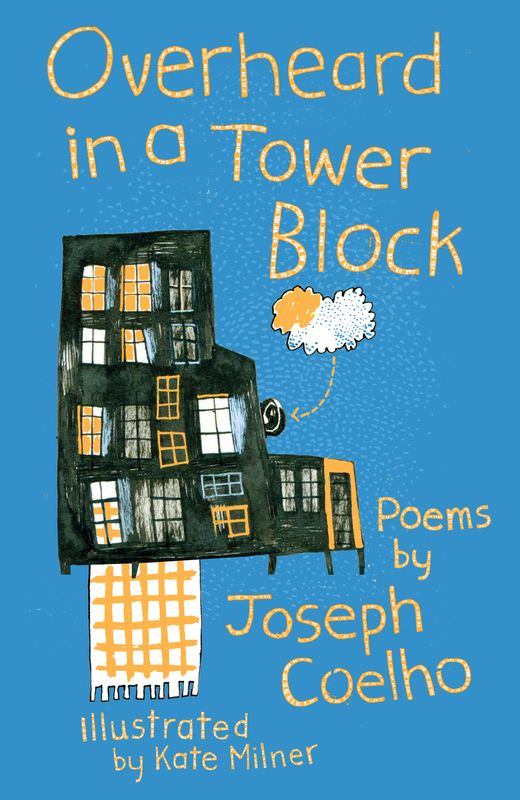 Poets such as Joseph Coelho, Rachel Rooney, Brian Moses, and Roger Stevens make a huge contribution in bringing children and poetry together – and, above all, make it fun. It is teachers who often feel nervous about it, and yet poetry is brilliant for cross curricular work in schools. Our new collection, Dark Sky Park, by Philip Gross, illustrated by Jesse Hodgson, is about extremes of nature, from deep-sea worms to the Aurora Borealis. It is magical to read, but also teaches you so much about science and nature. As Pie Corbett says about the book…”crystal catalysts reflect secret worlds”. We can certainly do more to promote poetry through social media. And there should be more review coverage – and more book awards that welcome poetry submissions. Of course, the CLiPPA award is massively important in promoting children’s poetry, as is National Poetry Day. It was a breakthrough, too, for Sarah Crossan’s Once to win the Carnegie Award in 2016. So I feel the future for children’s poetry is bright and we want to be a part of that. Thanks very much for sharing your thoughts, Janetta. We have long admired the books that you have edited and published and we feel a real kinship with the ethos that they represent. We would like to wish you all success with Otter Barry Books.